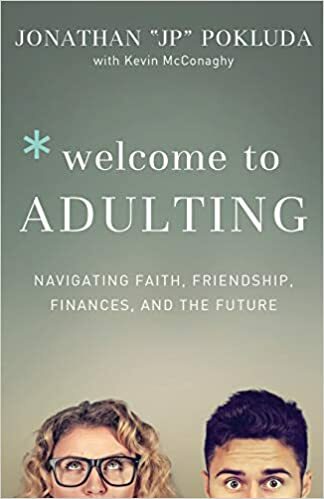 Adulting is a book about approaching young adulthood from a Christian perspective. The book is broken into five sections, Adulting – with a Purpose, Like a Boss, with Friends, Fearlessly, and Forever; with each section having one to three chapters. The second section hits on topics like money/budgeting and choosing a career, while the third going into Friends, but also repairing relationships and marriage. The final section is basically a presentation of the gospel. I think I might be just outside the age for the target audience for this book. I have been married, had a budget, and work in my career field, all now for more than 10 years. I could have used the career counseling section more like 15-20 years ago, but if I’m honest, I was probably too young/immature then to even listen. I am already a fairly practical guy, so I was already following some of his tips earlier on in life, but I think the one that would have been the most impactful is the chapter on community. Community versus friendship is an interesting concept. The fact that it is based on intentionality and not affinity is challenging. I am just now coming around to the idea. The first ‘community/small group’ in which I participated, we were basically all the same person. The one I’ve tried to build over the past two years now is quite different, a pretty big range in education and income, and, most challenging, an age range of over 40 years. The ‘with Purpose’ section of the book really serves as the intro and the strength of the book comes in the practical steps in the next three sections. Section four was unexpected Pokluda touches on worry and recovery (both overcoming addiction and putting issues in your past behind you). The only chapter I felt that was a little week was the final one. He acknowledges as much in his opening paragraphs of the chapter. His goal is to point us to Christ and the focus of eternity, which makes sense as he is a pastor. However, the chapter was just a little too long and didn’t quite flow/match the rest of the book. I also suspect most people reading it, already know (again, something he acknowledges). He probably felt he couldn’t pass the opportunity, just in case, which is commendable. Overall, I thought it was an interesting book. It is one I would definitely recommend to people just out of college or starting ‘adult’ life, or for any pastors/mentors out there who know people in this group. It is a solid mix of practical and theological/spiritual and is thoroughly Biblical throughout.